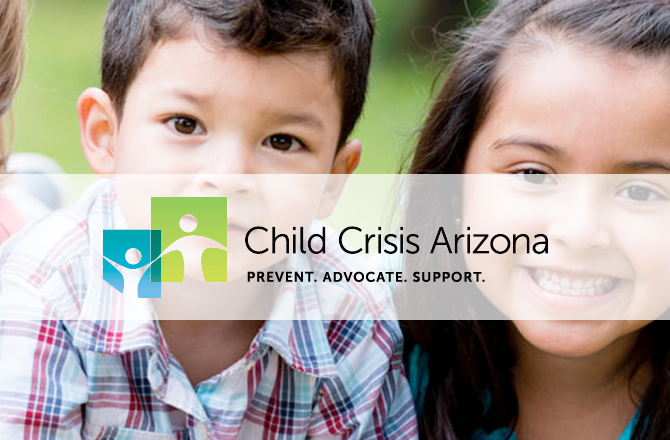 Child Crisis Arizona serves families by preventing abuse and neglect, advocating for the needs of families and children, and supportingparents, caregivers and children in times of need. Preventing abuse and neglect is critical to building healthy families. We offer parenting education to support families and provide parents the information they need to provide safe, stable homes for their children. Arizona is currently in a foster care crisis, with more than 19,000 children in out-of-home care. We advocate for both children and families to ensure that policy reflects the latest research on how to build stronger families and effectively care for children in crisis. Child Crisis Arizona educates caregivers through parenting courses and early childhood education programs. We also license, train and support foster and adoptive families. Our Emergency Shelter provides temporary housing for children in crisis.